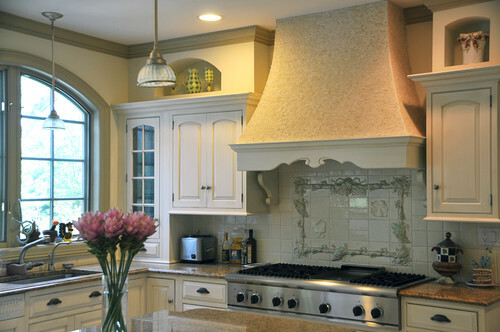 In general there are 5 different styles of range hoods. Regular (undercabinet) and microwave hoods designed for regular ranges. 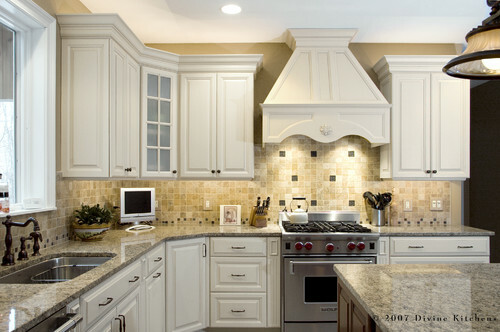 Pro hoods tend to be larger and deeper for professional and commercial style cooking. Downdrafts are for island installations. A custom insert is number 5 and consists of the interior filters, switches and lights of a hood. The blower can be installed within the insert or located in an external location. The hood can now become a focal point of your kitchen rather than a large piece of stainless steel mounted on the wall. The most common method of covering an insert is wood cabinetry and is more custom looking than any of the other options. There are a few different manufacturers like Best, Zephyr, Faber and Vent-A-Hood producing this product, but we also recommend our own hoods for high CFM at a very competitive price. There are three types of blowers that can be built with a custom hood insert. Internal blowers are built inside of the hood, while an in-line blower is install into attics. The external blower is placed outside of the house. I prefer the internal blower because it is easy to service, clean, and install. However, the CFM must meet the stove requirements. Inside blowers typically are 1200 CFM maximum. Outside blowers can be rated as high as 1500 CFM. 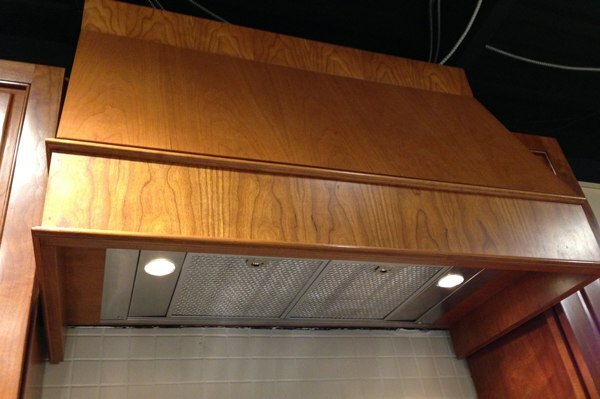 The three top inserts are Best By Broan, Vent-A-Hood and the Yale Brand. Best is owned by the huge Nortek company owner of Broan, Venmar, Rangemaster and Nutone lines. Best has the most variety of any ventilation company. 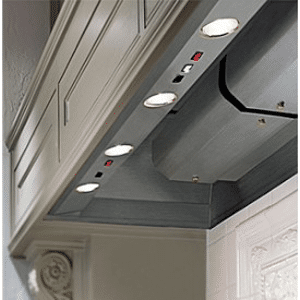 Vent-a-Hood is an independent manufacturer based in Dallas, Texas. The filterless "Magic Lung" blower is their claim to fame. The oblong design of the blower pushes the flames down so they do not enter the duct. Yale is a private label brand exclusive to us. It is number 2 in terms of reliability of all the products carried in the store. It really depends. As I said, I like internal blowers for service and aesthetics. I would consider the Best outside blower or a custom Vent-A-hood for inside grilling or wok cooking. In terms of inside blowers, I like the idea of the Magic Lung, but it has two ducts and some odd ducting requirements. Best has 200 CFM more than the Yale, but it is almost double the price. What type of cooking product is it going above? A high power gas cooktop requires an insert with more cfm (cubic feet per minute) than an electric cook top. General rule is that for every 10,000 BTU’s you need 100 cfm of ventilation. How far the duct work needs to run to reach the exterior? The farther the duct runs the more cfm the insert will need. Also, every turn is equal to approximately 7 feet of duct. Venting becomes less efficient the father it travels. Do you cook foods that create a lot of smoke such as stir fries and wok cooking? 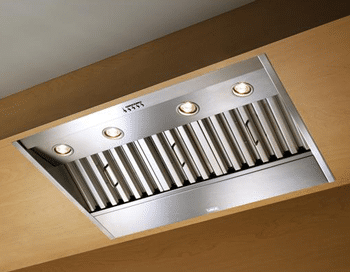 You need a larger vent to accommodate the volume of heat and grease. Dimensions such as ceiling height and how wide the cooking surface is can determine which custom insert you will require. Duct size: Larger vents of 8 to 10 inch round duct are needed for higher BTU output. Remember: According to Broan, a poorly ventilated home will trap 4 gallons of grease per year. It is not hard to plan appropriately and ventilate properly. Download the Ventilation Buyers Guide for more information on all types of venting, including key terms and brands. Well over 35,000 people have read a Yale guide. Paul Groux has been with Yale Appliance + Lighting for over 10 years, specializing in appliance sales. He is a former U.S. Army Paratrooper and has completed two Boston marathons.